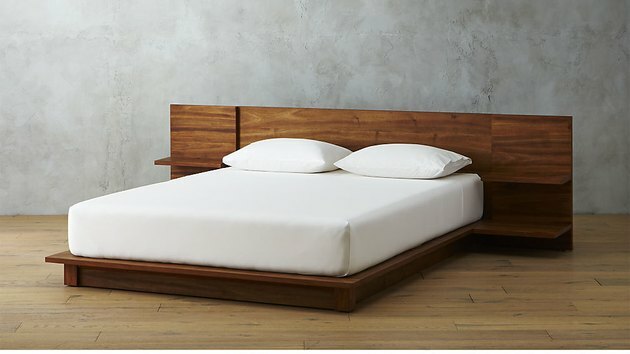 Beds are kind of like sofas in that once you decide it's time for a nice one, you realize: Holy crap, these things are hella expensive. Like, there-goes-your-rent expensive. 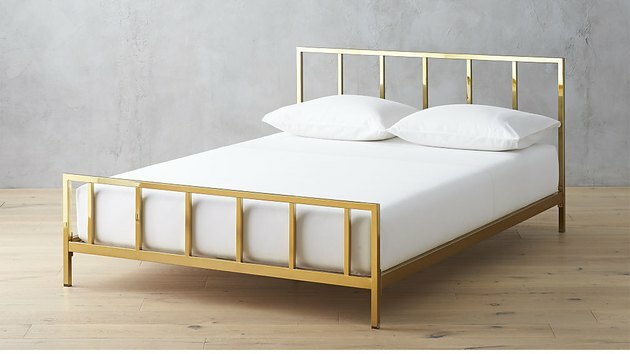 The good news is that a middle ground of stylish, not-too-pricey beds exists — it just requires a bit of digging to find them. 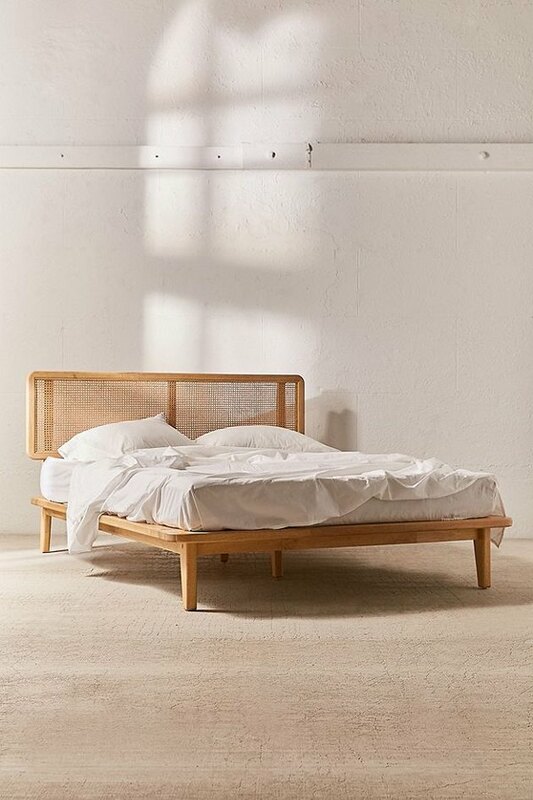 Here, some fantastic beds under $1,000 ( prices listed are all for queen-sized beds ). Just remember that you may still need to shell out for shipping or assembly fees. Affordable pieces with cane details are hard to come by! 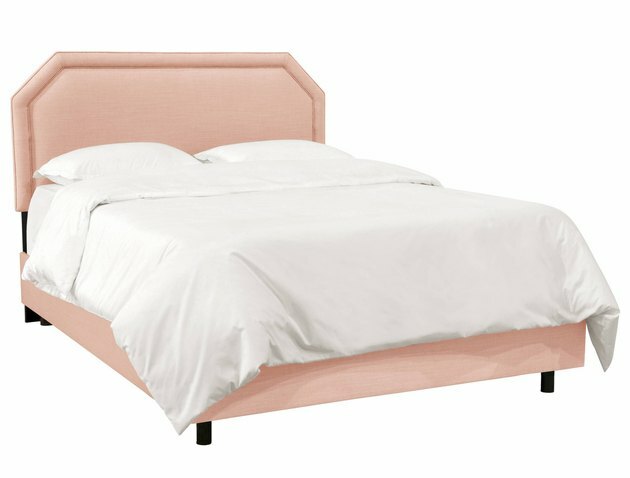 We've been on the lookout for ages for an affordable bed with a caned headboard, and it's literally like Urban Outfitters answered our prayers. 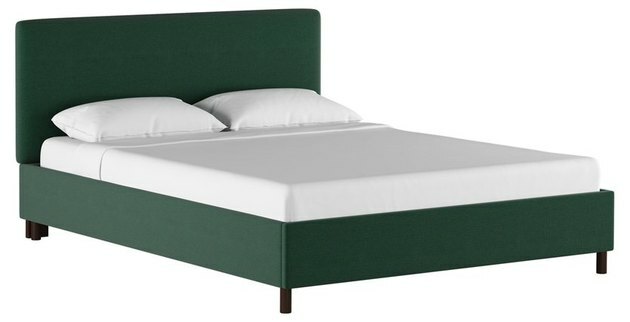 Ever since we saw Mandy Moore put a forest green bed in her new home, we're obsessed with the idea. One Kings Lane's linen-covered bed is a sweet, budget-friendly option. We keep close tabs on Floyd, a Detroit-based startup that's really innovating in easily shippable and affordable modern furniture. Shipping is free (yes, free) to 48 states, and if you live in NYC, you can take advantage of Floyd's free, same-day delivery offer. Ordinarily, when we think "bronze bed," we think of something overly ornate you'd find in a bed and breakfast trying to make a Louis XIV theme work. But this collab between CB2 and Barcelona-based Mermelada Estudio gets bronze just right thanks to clean, simple lines. 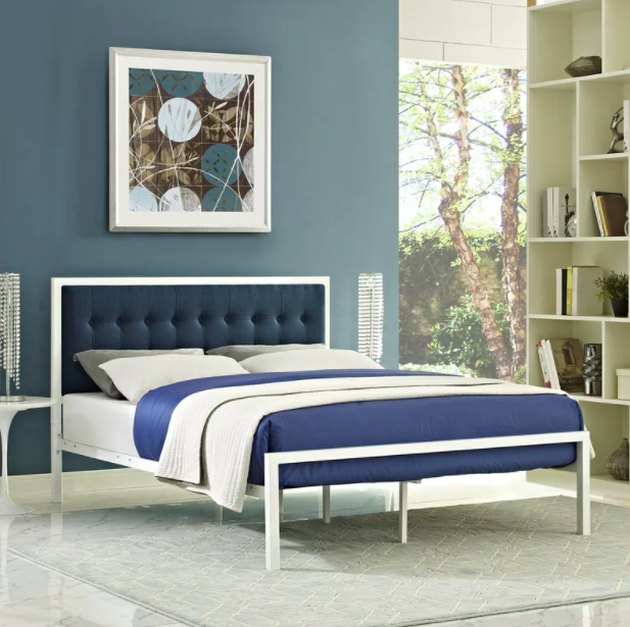 The blue linen covering this modern bed feels almost like a chambray, which will add just the type of classy-meets-casual touch your bedroom is missing. 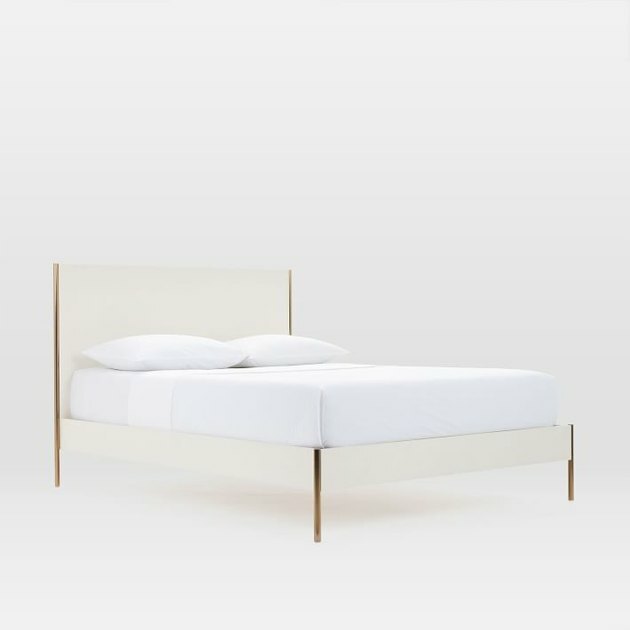 West Elm's Rhyan bed feels like a blank canvas. Thanks to white paneling and discreet, light bronze legs, there are a million different ways you can style this piece. 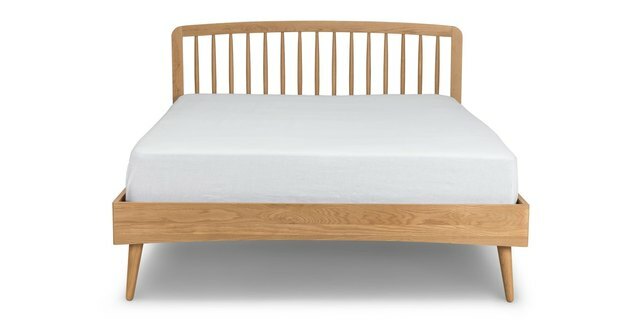 While we love Joybird's Fenton bed for its warm, classic feel, we almost like it more for its name. FENTONNNN!!! 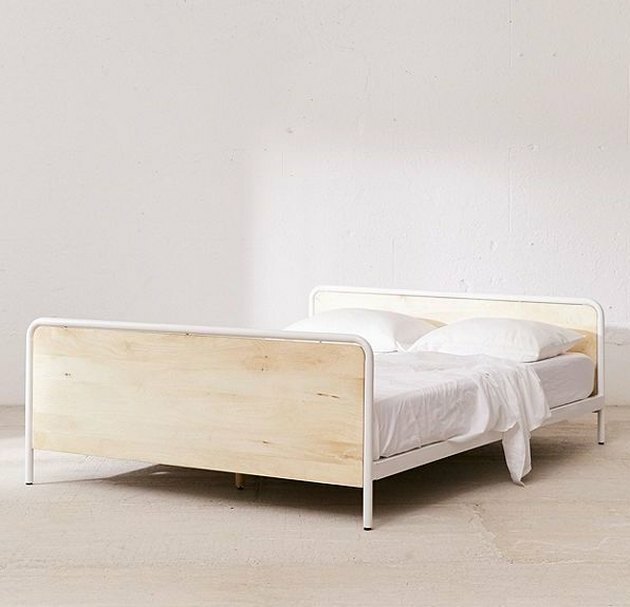 Hold up: How is this bed only $204? Run! 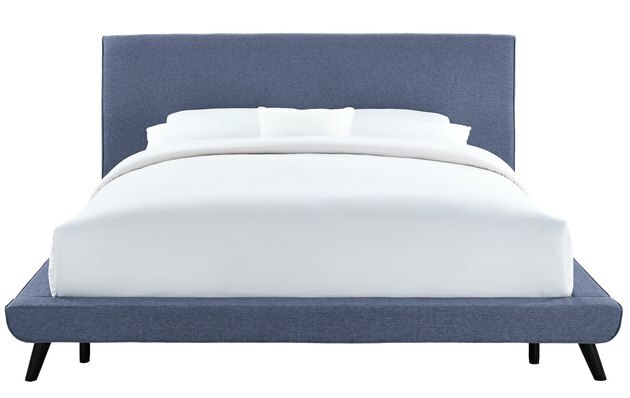 First came confusion with Urban's Morris bed — shouldn't the pillows go the other way? Then came acceptance. 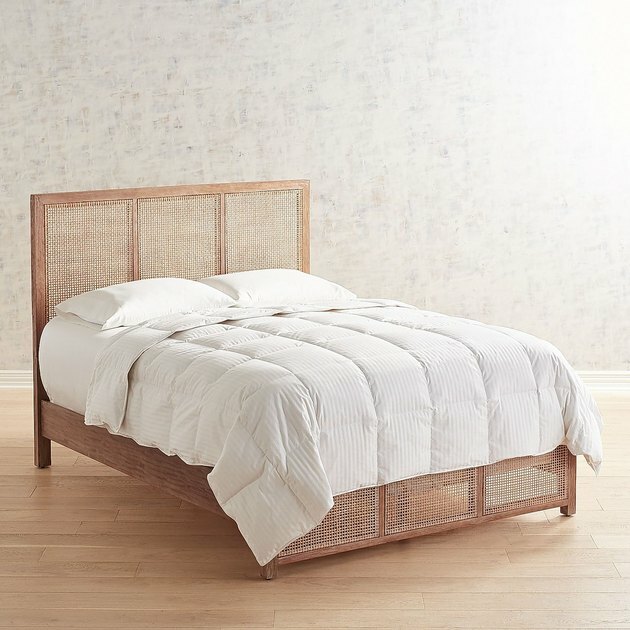 Praise hands emojis to Pier 1 for also jumping on affordable rattan pieces! 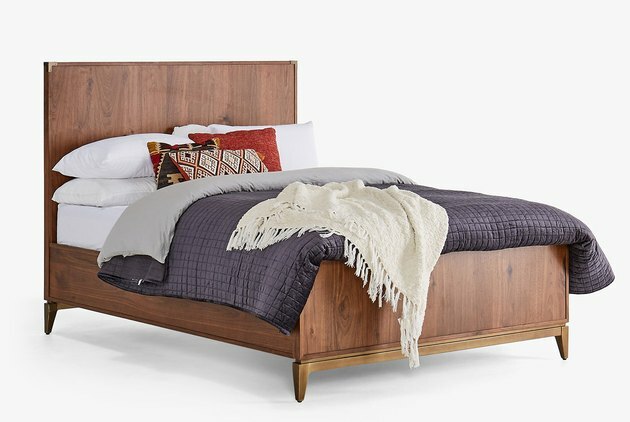 CB2's Andes bed is actually a money-saver — no need to buy nightstands thanks to a headboard with built-in shelving.